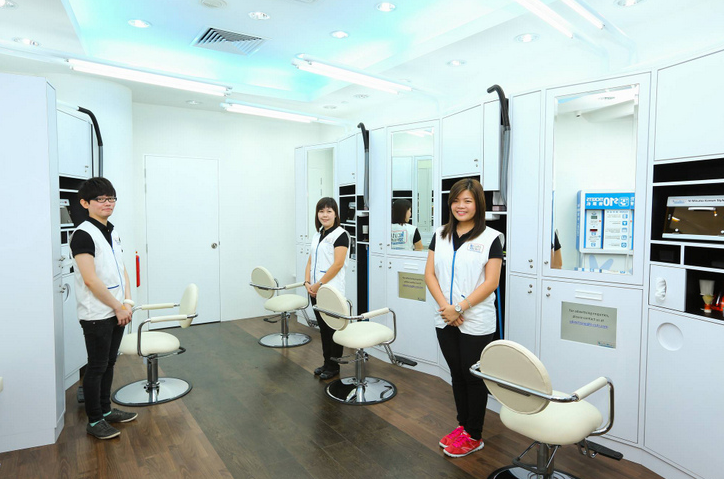 Feel free to visit us at our kcuts salon. kcuts interior and its all equipment are designed to be hyper clean. Customers can be assured about our highest level of hygiene in our kcuts salon. kcuts 는 고객님이 마음놓고 이용하실수 있는 미용실 입니다. kcuts 매장내 의 위생 문제에 대해서는 안심 하셔도 됩니다.